What is Orienteering? Orienteering is an adventure sport that was originally developed in Scandinavia in the late 1800s by a keen military officer, who wanted to combine instructing his soldiers in cross-country navigation and map-reading techniques with the need to keep them fit, and make the combination enjoyable and challenging! Orienteering evolved from that into a competitive sport in the early 1900s, but it really took off in the 1960s, as techniques for making and printing detailed colour maps became affordable and commonplace. The sport is defined by the International Orienteering Federation as “running navigation”, and basically involves competitors finding their way, using only a detailed map and compass, and their skill and physical abilities, around a cross-country navigation course. Similar to a car rally on foot, participants visit a set number of checkpoints, or “controls”. The Start is marked on the map by a triangle, each control is marked by a sequentially numbered circle, and the Finish is marked as a double circle. The controls, and the order they are visited in, is normally fixed by the course-setter, however, the path each competitor chooses to take between each control is completely flexible and up to the competitor to decide while progressing around the course. Straight lines on the map, joining each control point to the next, are only there to aid in reading the course quickly and are not the required route across the terrain. Each control point is marked in the terrain by an orange and white flag, and a manual or electronic recording device located at each control flag is used to prove the competitor visited each control. Competitors normally participate alone, and the competitive challenge involves a race against the clock, with the fastest competitor around the course winning the event. Variations on this “traditional” or “classic” orienteering format include “score” (gaining points for each control visited in a fixed period of time in any order), and “relay” events, in which teams (of usually three) race one after the other over closely-parallel courses to gain a cumulative time. Orienteering is quite often abbreviated, by those involved, simply as the letter “O”! The best-known orienteering discipline is undertaken on foot, and is known as Foot-O, and includes subsets covering orienteering in bush/forest areas, and Park/Street orienteering which is done in urban areas. Other variations on orienteering becoming increasingly popular include Mountain Bike Orienteering (MTB-O), Ski-O, Trail-O (which is not yet well known in Australia, but caters especially for disabled athletes), and two other closely-associated activities called Rogaining (see the Victorian Rogaining Association website for more info) and Amateur Radio Direction Finding (see the Victorian ARDF Group website for more info). Who can participate? Orienteering is a sport that caters for all age groups and levels of ability at most events, thus making it an ideal family sport. Multiple courses are offered at events, with course lengths and degree of navigation difficulty set to suit age and experience, ranging from under 10 to over 80, and very easy through to difficult navigation. In fact, at many events, even toddlers as young as 2 are catered for with a very short “string” course following a continuous string through the bush, with plenty of novelty controls and other activities to explore! An example of an orienteering course in Victoria Park. How competitive is the sport? It depends on how competitive you want it to be! Each competitor seeks to achieve satisfaction in their own way. For some it is being fastest around the course; for others it is navigating to each control point precisely, or making the best possible route choices; or for others it is simply enjoying being in the bush looking at wildflowers and birds. In Eureka, our club membership ranges in age and abilities from children as young as four, to family groups who orienteer together or in friendly competition, to the young-at-heart well into their nineties, to highly-competitive elite athletes who regularly tour Europe competing at World Championship level! While most come to compete in some form, some orienteers and partners of orienteers come to just chat and enjoy the company and the bush setting, or to help out with the organisation and administration of events. Just starting? Clubs provide newcomer instruction at every event, and most orienteers will eagerly offer advice and helpful hints. On the course in the bush, if you’re geographically embarrassed, you can ask someone to tell you where you are on the map, but it is considered poor form to ask where the next control is located, or to give away a control’s location unnecessarily. Newcomers and younger children often prefer to go around in groups. Coaching is offered at all levels – just ask someone at the Eureka tent at most events! Equipment? Orienteering requires little by way of expensive equipment. To start with, comfortable clothes and shoes with some grip are a good idea. Long pants or some lower leg protection (gaiters) are recommended. Compasses can be hired at events for a small charge, borrowed from a friendly orienteer, or purchased at major events or from camping stores from $20 to $120+. Some events use an electronic timing system – in Australia this is usually the German SPORTident system – equipment for this, called an e-Card, can be hired as part of event entry, but can also be purchased for around $60 once regular participation is established. The map for each event is provided by the organisers at the event, and is paid for as part of the entry fee. Costs? Entry fees vary from event to event, but for local events expect to pay about $5.00 per map, regardless of the size of group. At state events – foot-o or mountain bike-o – the cost is from $10 to $25 for members with a $5 to $10 levy for non-members. This may sound expensive but it is cheaper than a ticket to the footy or tennis, and think of the exercise value-for-money! Consider also that orienteering is unlike many other team-based sports, where not everyone who joins a club and wants to play, actually gets selected to play. In orienteering, everyone who wants to participate does so to the same extent, with an equal opportunity for success to every other participant. The entry costs mostly pay a return on the large investment made in making the detailed event map, which can require hundreds of hours of fieldwork and complex digital cartography performed by highly-experienced orienteering mapping experts. Getting there? You normally have to travel by car to events, but orienteers regard this as a Sunday drive with a goal. Most events are within 75 minutes drive of suburban Melbourne. Occasionally, more distant events are held, such as around Bendigo, Beechworth and Albury/Wodonga – these usually involve more than one event held across a weekend, to get the most out of the longer travel distances. What is the VOA? OA? IOF? The Victorian Orienteering Association Inc (VOA), better known as Orienteering Victoria (OVic), is the state body responsible for the overall organisation and standards for the sport in Victoria. Although non-members may compete at any event, they are not eligible for state or national awards. Orienteering Australia (OA) is responsible for overall control of the sport in all states and territories, and carries a substantial Public Liability insurance cover on behalf of all clubs and officials. The International Orienteering Federation (IOF) is the head governing body of the sport worldwide, and is responsible for promoting orienteering in more that 70 countries on all continents around the world! The IOF also sanctions World-Ranking events for elite competitors, such as the World Orienteering Championships in the various disciplines, and is responsible for maintaining the international technical rules for competition and mapping. Is this an international sport? Yes. There are World Championships held in all four disciplines of orienteering [foot-o, mtb-o, ski-o and trail-o (for the disabled)], either annually or biannually. Orienteering is also a member sport at the World Masters Games . Maps are drawn to an international standard that is language independent, and control descriptions are given in international symbols that are the same around the world. For the youngest age groups and easy courses, the control descriptions are also provided in plain English. Are there separate events for males and females? No. At every event, several courses are set, and competitors nominally enter the course best matched to their age class, gender and ability. However, competitors are free to choose to run any course they wish providing they have sufficient experience. Results are sorted into age and gender so you can compare your performance with your peers. Unlike many sports where competition at a particular level requires passing through an extensive qualification process and previous proven performance, orienteering is unique in that any competitor is welcome, within the limits of experience, fitness and fairness, to compete against any other competitor, at any level of proficiency, at most events. It is only at the elite levels of competition that preselection and qualification become mandatory. The social side? After completing your course you will find that many orienteers are keen to gather and compare their courses, commenting on their route choices and errors, and hoping not to repeat them next time. It is a friendly time and one the whole family can join in. Family or club picnics usually finish the day. Clubs also organise other occasional social events for their members. Orienteering is a truly international sport for all ages, that people can participate in at home, interstate or abroad. Whenever or wherever you participate, you will find the same friendly atmosphere. Want to Know More? 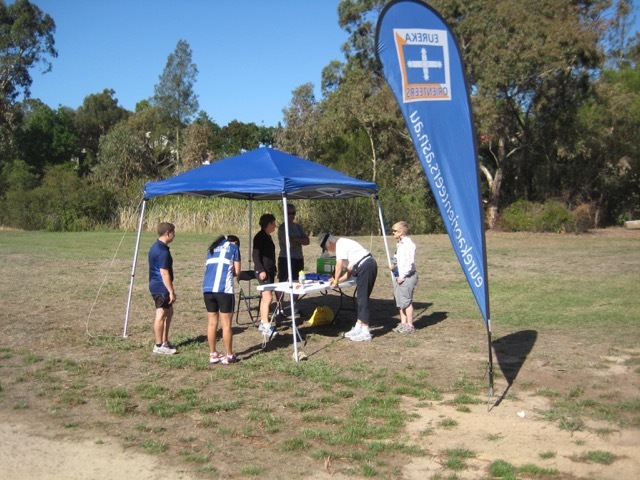 Further information on Orienteering can be found at the Orienteering Australia website by clicking on: http://orienteering.asn.au/index.php/get-involved/.